You've all been clamoring for it, well here it is. The Simplistic Reviews Podcast for December 2012! In this sophomore edition we dig into the holiday season with what made us happy in the cinema during 2012. From "The Dark Knight Rises" to the re-release of "Pulp Fiction" we touch it all, and not in that inappropriate way....okay, just over the pants, but give us a break. We also give AMC, Nerds, "The Vow", and British -Voiced Nazis a hard time in our newest segment, "Sincerely." All this and more on The Simplistic Reviews Podcast for December 2012. 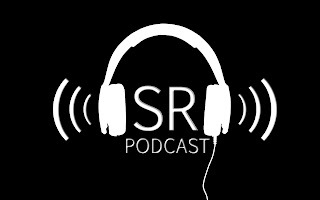 Welcome all to the inaugural Simplistic Reviews Podcast! This is something that we had been planning for a while, and we finally got it done. This edition we talk James Bond, namely, his newest adventure "Skyfall," and remember some of his greatest villains and which James Bond theme song speaks to us. Not in that creepy way that your uncle used to when he was drunk during Thanksgiving. We also talk TV, where DJ explains why "Arrow" is his newest guilty pleasure, Justin talks about balls dropping, and why Jewish people aren't allowed to watch "Mad Men," while Matt asks "Why is AMC so stupid!" We also wonder "What is it about Ghost Dad that gets our motors revving?" And "What was Morgan Freeman really doing during his voice over sessions on "March of the Penguins?" All this and more on The Simplistic Reviews Podcast for November 2012.